this time it is me again with a finished project. In fact this was a very spontaneous one. The small vases are from Pardulon too. 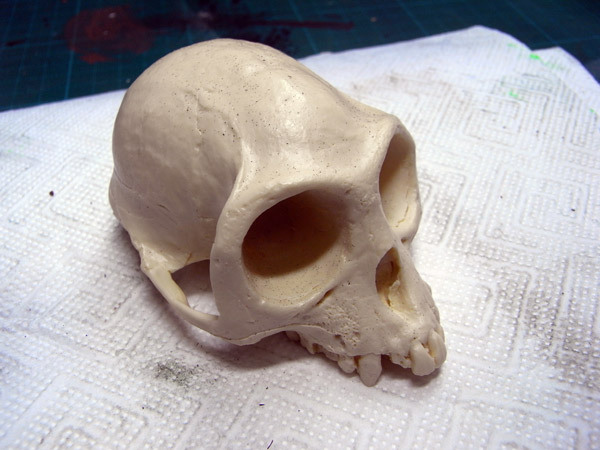 The skull is truely cool and big and I think it could find way in many projects, maybe in yours? You can get yours here! This is another shot on the skull as I recieved it. A massive resin beast and a joy to work with! 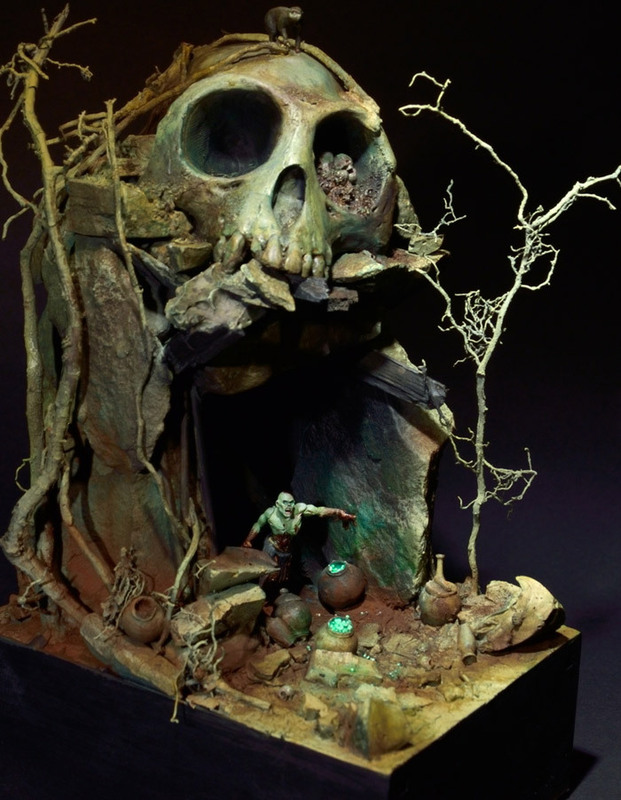 I really love what you have made of the skull in this spontaneous project. The overall color variety is awesome.